By Kham Tran (www.khamtran.com) via Wikimedia Commons. You’ve probably seen the, “Got milk?” commercials featuring celebrities with milk mustaches, which advertise the nutritional benefit of drinking calcium-rich milk. Your body needs calcium to maintain strong bones and perform other important functions like moving your muscles. If you don’t get enough calcium by eating foods like milk or supplements, then your body pulls calcium from bone. Your bones are alive. Your body constantly removes old bone and replaces it with new. But as you get older, you often lose bone faster than you can grow it so bones can become weak and break easily. Osteoporosis and low bone mass affect about 52 million people in the United States and result in a fracture every 3 seconds worldwide. To help prevent osteoporosis, the use of calcium supplements is common – 43% of U.S. adults and almost 70% of postmenopausal women regularly take calcium supplements. But are these effective and safe? Recent research studies have reported inconsistent results on the benefits and risks of taking calcium supplements. 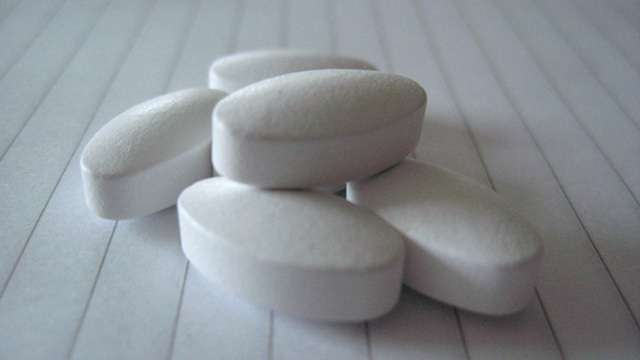 Calcium supplements commonly cause indigestion and minor constipation, and they infrequently cause kidney stones. Several recent studies suggest that they also increase the risk of heart attacks, but other recent studies disagree. The authors speculate that taking a calcium supplement causes a dramatic increase in the amount of calcium in your blood, unlike when you gradually get calcium from eating dairy products. This may cause calcifications in your blood vessels and heart, leading to an increased likelihood of having a heart attack. High levels of calcium in the blood may also increase blood clotting and stiffen arteries, both known to cause heart problems. Although several studies agree with the 2010 British Medical Journal study, they have been criticized by other scientists. The criticisms focus on their patient selection, the number of patients who didn’t take the supplements for the entire study, the methods of statistical analysis and not monitoring the intake of other dietary nutrients that might alter calcium effects. In addition, several other research studies recently found no risk of heart problems due to calcium supplement use. For instance, the 2010 Women’s Health Initiative trial analyzed data from over 36,000 women taking calcium and vitamin D supplements and it showed no significant increase in heart problems. Further research is needed to sort out these inconsistent research findings. But experts seem to agree that it's best to get your recommended daily calcium by eating calcium-rich foods. “A reasonable approach is to preferentially encourage dietary calcium intake and discourage the routine use of calcium supplements,” advises Dr. Douglas Bauer, a professor at the UCSF Medical Center. How much calcium you need depends on your age. The Institute of Medicine recommends healthy adults to eat foods containing 1000 to 1200 mg of calcium per day. But more calcium isn’t always better. They also recommend avoiding a calcium intake above 2000 to 2500 mg per day to reduce risk of health problems like kidney stones. In order to meet these recommendations, a useful first step can be to track what you eat during a typical week using a food diary. After calculating how much calcium you usually eat each day, you may need to change your diet to include more calcium-rich foods. The top calcium-rich foods are yogurt, cheese, milk, sardines, dark leafy greens (collard greens, kale, bok choy, and spinach), fortified cereals, fortified orange juice, and soybeans. For example, you can get the recommended daily 1000 mg of calcium by eating 1 packet of fortified oatmeal (100 mg), 1 cup of 1% milk (305 mg), 8 ounces of nonfat plain yogurt (452 mg) and ½ cup of cooked spinach (146 mg). “If it is not possible to consume enough calcium from the diet, the use of calcium supplements is most likely safe and not associated with cardiovascular outcomes,” said Dr. Douglas Bauer in a recent press release. But he advises against exceeding the Institute of Medicine guidelines.